Eleven years ago, Bob Dumas, the longtime host of Bob and the Showgram, was diagnosed with a cancerous brain tumor. “Had it not been for research and the extraordinary medical care I received, I would not be here today in remission,” he says. That experience inspired Dumas and his wife Lu to start the annual Bob’s Buddies Radiothon, which benefits the Pediatric Brain Tumor Foundation’s research programs. Each year on the day before Thanksgiving, Bob and the Showgram broadcast the Bob’s Buddies Radiothon from G105 in Raleigh, NC, to listeners across the country via iHeartRadio. 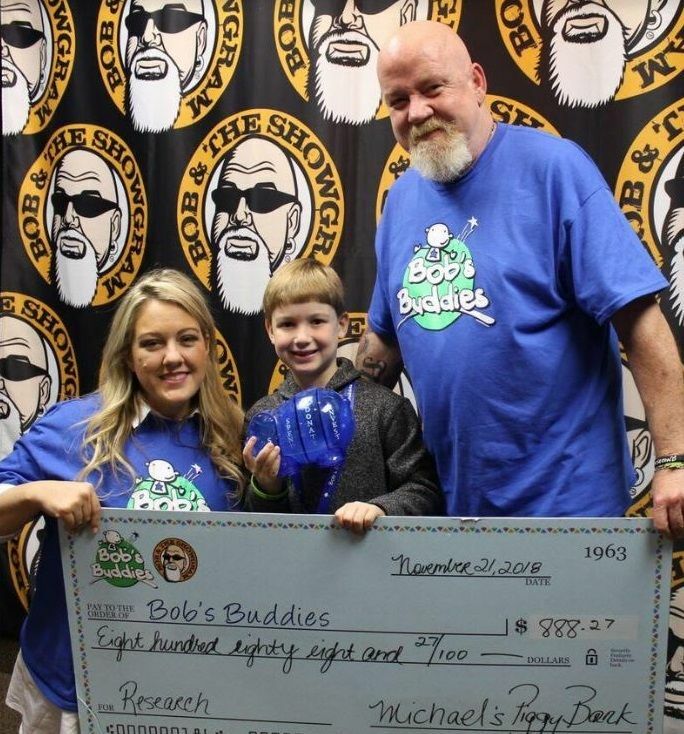 Over the past 11 years, Bob’s Buddies has raised nearly $2 million for groundbreaking childhood brain tumor research, including a recent clinical trial at Duke University for kids with recurrent brain tumors. 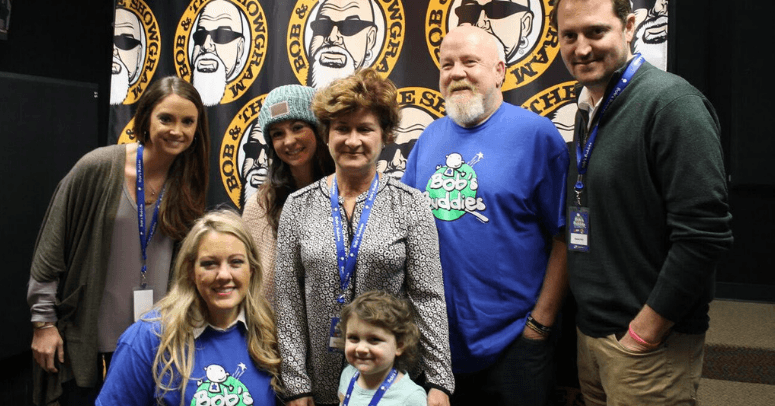 And on Wednesday, Nov. 21, 2018, Bob’s Buddies took to the airwaves again -- sharing the stories of children with brain tumors and the researchers working towards a cure. The 2018 Bob’s Buddies Radiothon has raised more than $250,000 thanks to the support of presenting sponsor Gladwell Orthodontics, whose Jeep Wrangler raffle raised $140,000, phone bank sponsor Carolina Comfort Air, and donors like 7-year-old Michael Bleakley of Cary, NC. Every year for the past four years, Bleakley has asked his friends to donate to Bob’s Buddies instead of giving him birthday gifts. He also does “Buddy” chores around the house to earn more money to donate. On the day of the radiothon, he hands Dumas his piggy bank. This year, Bleakley proudly gave $888.27 to help Bob ’s Buddies. Bob’s Buddies looks forward to returning in 2019 for another year of curing kids’ brain tumors! If you would like to support Bob’s Buddies, visit www.curethekids.org/bobsbuddies to learn more.